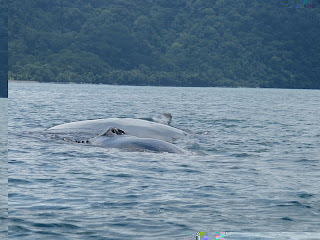 Welcome humpback whales(Megaptera Novaeanli) in the Golfo Dulce!! 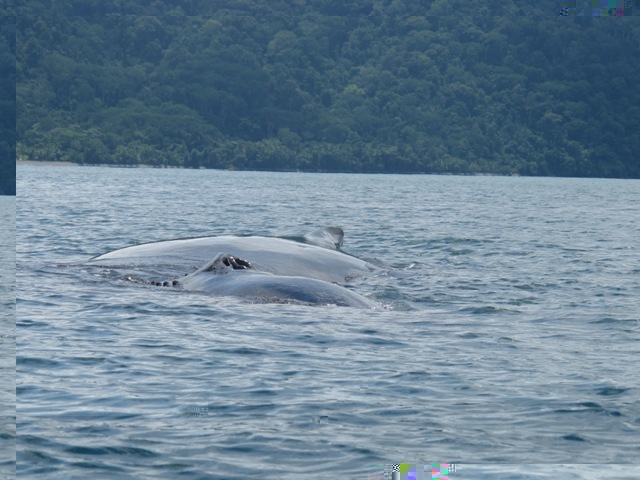 This lovely 17 meter species that weighs in at around 48 tons is now visiting the ocean in front of Playa Nicuesa and more will soon follow. On a beautiful morning at Nicuesa we noticed this mother and baby hanging out in front of the dock. Some grabbed kayaks and others got in boats to go see â€¦ but there was really no rush because they stayed there feeding for about four hours! 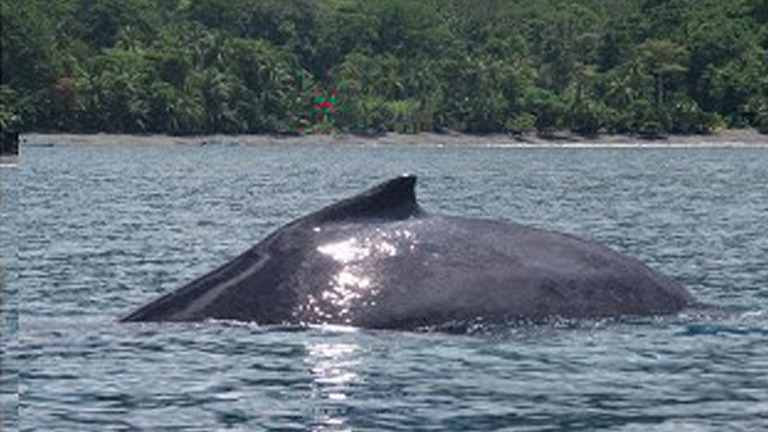 This cosmopolitan species ranges from polar to tropical seas often alone or in groups of up to three. This is the most flexible of all whales â€" its range of motion is incredible! 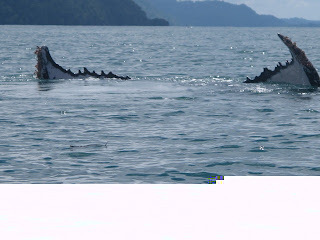 Once they reach 12 meters they are ready to reproduce. The gestation period lasts 12 months and then the baby stays with the mother for many years afterwards.